Portrait bust, oval, to right and looking to front; wearing a brimmed hat and blue coat with gold buttons. Mr. Thomas Stepney sat to Engleheart in 1785. He succeeded his elder brother as 8th baronet in 1811. Another portrait of Sir Thomas Stepney, Bart. dated 1787, by R. Cosway is P.45-1953. Portrait miniature of Sir Thomas Stepney. 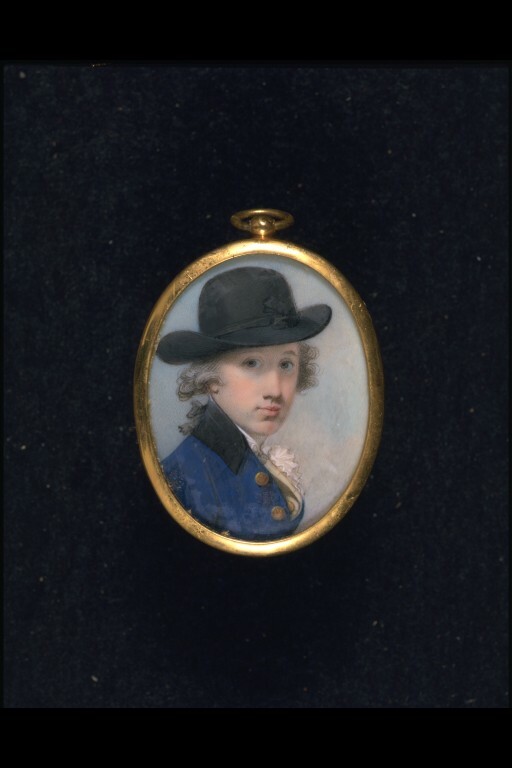 Watercolour on ivory, painted by George Engleheart, 1785.